As expected, LG recently announced its first full 3D phone, the Optimus 3D and its first Honeycomb powered tablet, the Optimus Pad at the MWC 2011 in Barcelona. LG Optimus 3D is the first full 3D phone which allows you to watch 3D contents as well as record videos in 3D, thanks to its dual cameras. On the other hand, LG Optimus Pad is the LG’s first tablet device, which comes with a 8.9 inch display and full HD (1080p) playback. LG Optimus 3D features a 4.3 inch touchscreen display, 1 GHz OMAP4 dual-core processor, dual-lens camera, glasses-free 3D display and more. Optimus 3D also comes with multiple connectivity options including HDMI (High Definition Multimedia Interface) and DLNA (Digital Living Network Alliance), which will allow you to easily transfer the recorded content to other devices. 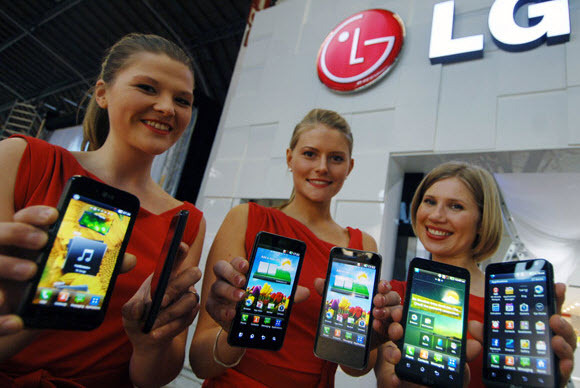 LG Optimus 3D runs on the Android operating system, but we are still not sure regarding the version of the Android OS. LG Optimus Pad is the Android 3.0 Honeycomb powered tablet featuring a large 8.9 inch touchscreen display with 1280 x 768 pixels resolution, 1GHz NVIDIA Tegra 2 dual-core processor and more. LG Optimus Pad is the world`s first tablet with a built-in 3D camera, which allows you to capture vivid image and video content, that can be easily viewed on a high definition 3D TV or you can even share it on the web via YouTube 3D. The complete specs, price and availablity of this handset is still unknown. More information on these devices will be available during MWC. Stay tuned for more updates.